Kelly’s early childhood is filled with memories of moving furniture and arranging objects because “they felt better that way.” It was at that early age where she discovered just how much your environment affects your health, happiness, state of mind and energy. She believes that your environment is often a metaphor for what may be occurring in your life. Through various close calls with the force of nature; three lightning strikes, too many near drowning’s, and one massive Tornado, Kelly has found a deep respect and awe for Mother Earth and the power of the elements. She uses 4 and 5 element systems in her work creating balance and harmony harmony for her clients. Studying art and graphic communications in school lead her to a passion for working with colour shape, design, and she was especially skilled with creating positive/negative balance in her compositions. Kelly now creates harmonious and ‘sacred spaces’ in homes and the workplace through arrangement, placement, ceremony and looking for meaning in client’s objects. A love for clearing clutter was developed after witnessing a lifetime of materials had to be disposed of after her Father’s passing. She has worked with numerous people in the ‘letting-go’ process with empathy and non-judgment. Kelly holds two certificates in Space Clearing and continues her studies exploring this sacred art in other cultures around the globe. Her clearings are mystical and client centered, focusing on intentions for the space with custom ceremonies and altars created for each. Kelly’s professional career began in home and decorative retail after accompanying her father to the local building store every weekend. Later employed in the corporate sector, she was keen to help new employees learn the ropes. Her deep passion for ongoing learning and teaching led her to a long term corporate trainer’s role where she traveled across Canada implementing new systems, policies and procedures while coaching and mentoring the trainees. Kelly also spent time in the travel industry training agents on destination information, packages and tours. 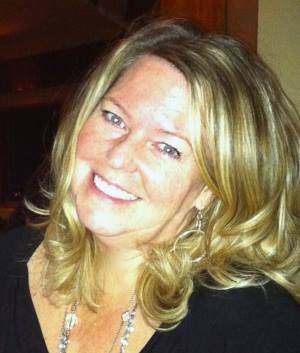 Kelly was inspired to take Denise Linn’s Soul Coaching® Program in 2008 and has since graduated at the Advanced Level and will receive her Soul Coaching Teaching Certificate in September 2016. She has international success guiding people from all backgrounds through this positive life-affirming Soul Coaching® program in person and through inspirational online groups. Mentoring thousands of people across the globe in Denise Linn’s online Hay House programs, Kelly feels extremely blessed to contribute to the rich learning environments of these programs. Kelly has written numerous articles for the Interior Alignment’s Newsletter, the Soul Coaching newsletter as well as a favoured chapter on ‘The Power of Spirit Sticks’ in the award winning book: Soul Whispers II – Secret Alchemy of the Elements in Soul Coaching, published by Soul Wings Press. Her company LumaSoul Coaching & Consulting offers private consultations & workshops in person and online. Certification training is held throughout the year in various locations. Adding Ceremony to Your Daily Life. I hired Kelly as a trusted friend and Soul Coach (took her program in 2012) to assist my family with the sale of our late mother’s condominium. The condo had been listed for several months with little movement. Kelly came in to advise & assist with some great clutter clearing and terrific interior design pointers in conjunction with her interior alignment skills. Finally she did a space clearing to bring in positive and happy energy to what was a sad place in my mom’s last months. We sold the condo within a month of her work and got a better price than we expected. Thank you Kelly for your support, dignity and respect in this very trying experience. Karen Wilke, Graphic Communications Leader. Kelly is incredibly creative with an eye for detail picking up the beauty in everything she sees. This ability along with her communication skills, deep compassion for those who are in need of guidance, wonderful administration attributes, especially to connect in the cyber world and last but not least her love of the shamanic world make her an amazing coach, space clearer and Feng Shui practitioner. I was very impressed with her attention to detail in all that she partook in. Kelly has an amazing gift of insight and compassion. As her teacher, and now her friend, I am continually uplifted by her ability to deeply understand those in need, and also communicate in a way that reaches into their soul. – LuAnn Cibik, MTIA Kelly is a consummate Soul Coach, Feng Shui Practitioner, and healer. She is also a very gifted author. If you choose Kelly as your coach or consultant, you will have an experience where you feel cherished and deeply heard. Kelly has a depth of compassion, and ability to create a safe and sacred space that allows her clients to find their deepest truths, and move through personal struggles, into a space of joy and acceptance. “Kelly has proved to be an absolutely invaluable person to engage for her advice and deep knowledge as an Interior Alignment Practitioner/Feng Shui Practitioner, as well as, her spiritual guidance as an Oracle Card Reader. With respect to her interior alignment/Feng Shui work, I would not have thought it was possible to achieve such brilliant advice on the energy flow on one’s home to the depth Kelly has achieved, given she is on the other side of the world. (I am in Sydney and Kelly is in Canada). But that has been my experience with her. Her long distance advice on the alignment of the energy in my home and with that, her Feng Shui guidance on the most auspicious placement of furniture and items around my home has been amazing! Without a doubt, Kelly’s advice has facilitated a re-alignment of the energy flow in my home leading to an increase in the level of calm, harmony and creative flow for me and my partner. Kelly simply engaged with me via skype, had me answer specific questions about how I felt about each aspect of the home and I provided her with photos of each room. Then, she took me on a guided meditation (Synchro Alignment®) through my home to engage with it spiritually, emotionally and energetically before then, producing an in-depth report on the many positive ‘enhancements’ to improve the energy flow throughout every single aspect of my house. She has an incredibly keen eye for detail and clearly a deep spiritual connection to have produced what she has delivered to me. As for her Oracle Card reading with me, I was enchanted by the ease with which she shared insights and guidance which was incredibly accurate. She is a beautiful clear channel and I had no doubt her guidance was coming from a very pure and spiritually high place.